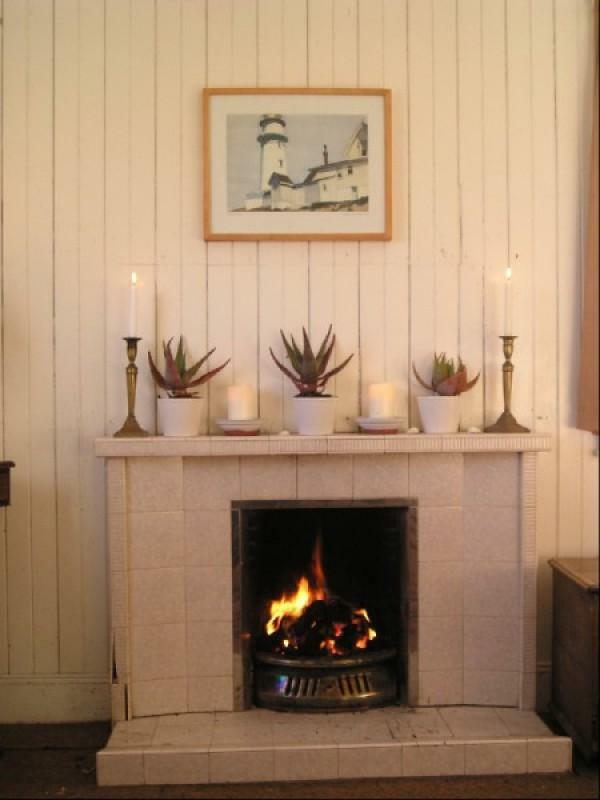 If you are looking for a basic traditional cottage with rustic charm and seclusion at the shore of North Bay overlooking the Sea of the Hebrides, Rubha Chàrnain may be the place for you. 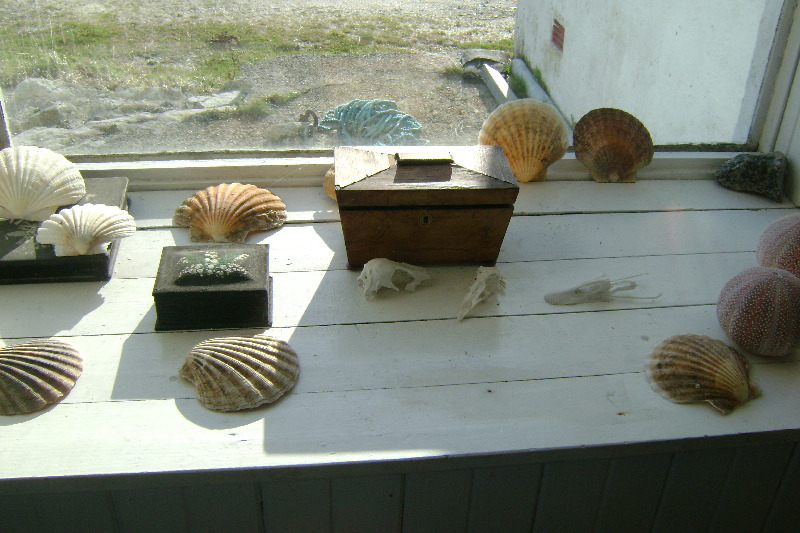 The cottage has retained much of its old character and has a maritime feel. With no television you can enjoy dining, listening to music, reading or playing games by the open fire and are bound to have an unforgettable break from busy city life. 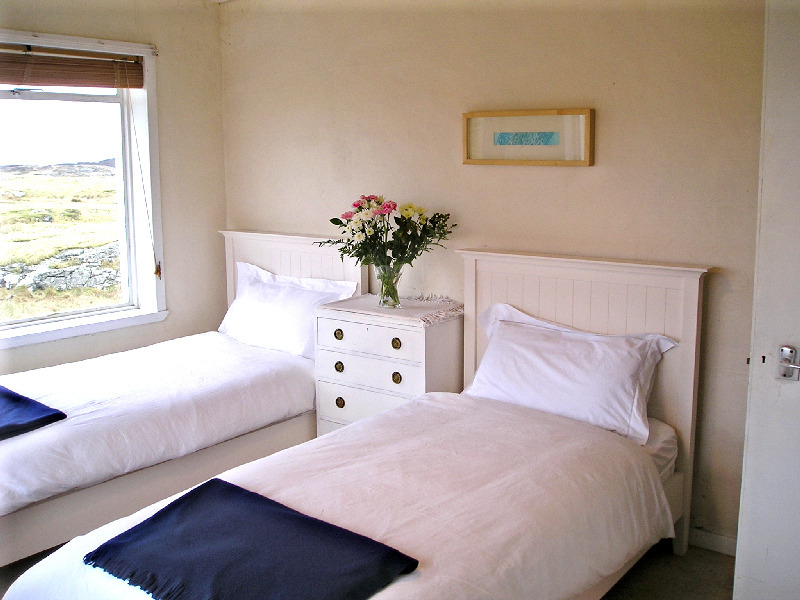 The cottage has seaside views from most windows and the surrounding land slopes gently down to the shore. At the bottom of the garden you can go rock fishing, launch your own kayak or just enjoy the calls of the seabirds. If you love storm watching, star gazing, are hardy and have a healthy appetite for adventure why not try the Hebrides in winter? Barra is fully exposed to Atlantic gales in winter and is an excellent location for trying out if your outdoor clothing is really as water- and windproof as advertised in the shop. Bruernish is free from light pollution and on a clear night you can step out of the door and see the Milky Way. Rubha Chàrnain is on a quiet cul-de-sac. We welcome children at the cottage and have a good selection of buckets and spades as well as some body boards. The cottage is non-smoking and we have a strict no pets policy. 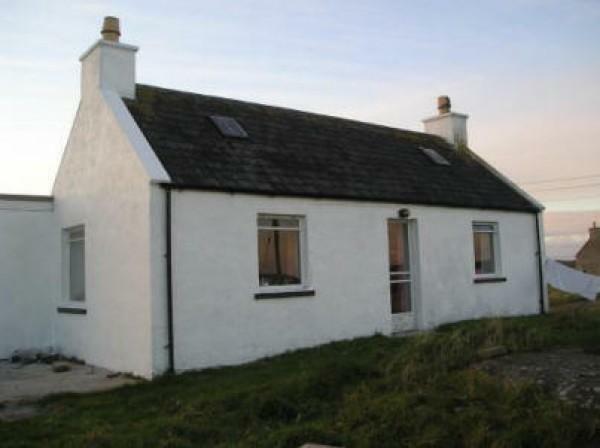 We have recently spent a fantastic week on Barra at Rubha Charmaine. 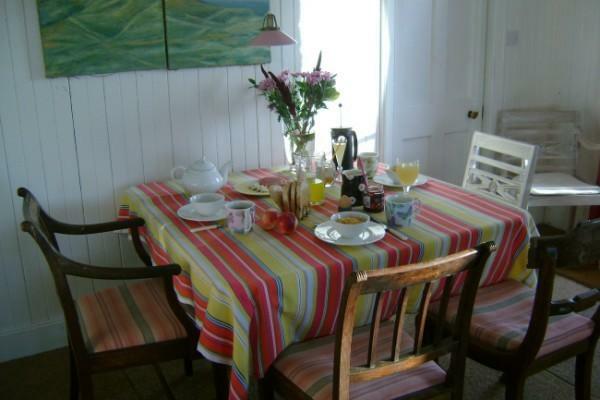 The cottage was fantastic;it was very comfortable and provided everything we needed. We had a few coal fires in the evenings and played games around the table. The view from the living room over the bay was stunning! We saw otters and seals many times over the week. The cottage was a great base to see the island; we visited many beaches but our favourites are those at the far end of Vattersay – white sands and blue-green sea shimmering in the sunshine. To find these beaches you need to use the ordnance survey map and keep walking and looking, we were amazed with the beauty of the island. We also visited the Kisimal Restaurant for a tasty meal and had delicious scones at the post office in Castlebay. There is still more for us to see and do so we will certainly be back to enjoy Barra and Rubha Charnain! We had an idyllic few days at this beautiful cottage: warm, welcoming, fully equipped and beautifully turned out. No car no problem as we’d hired bikes which more than answered in terms of what we needed. The brisk wind limited our two-wheeled forays, but that meant days walking from the cottage onto the peninsula nearby and the hills behind, returning via the pub to enjoy the five star plumbing and make a meal in the highly functional kitchen. As the owner, Anke could not have been more agreeable and straightforward. Dealing with her was a pleasure. We look forward to coming back! 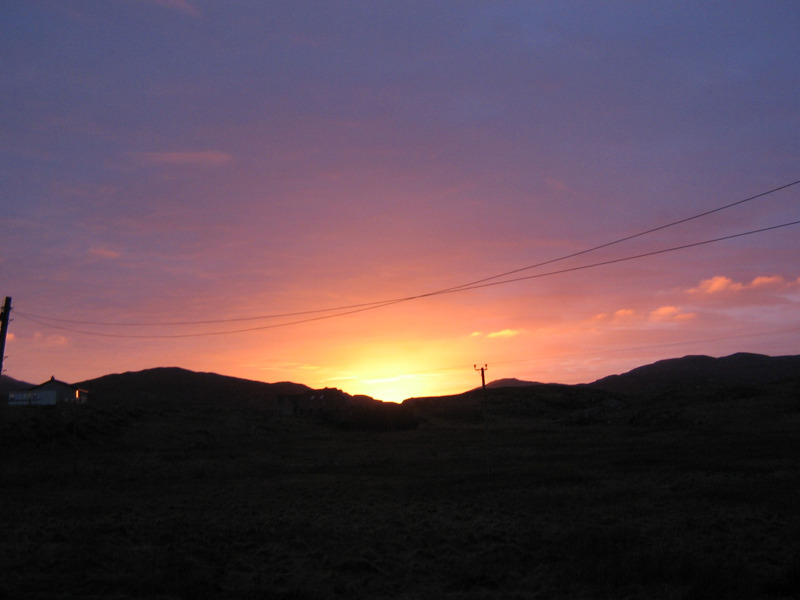 We have recently returned from a wonderful short stay at Rubha Chàrnain. We just knew that the cottage would be our idea of perfection before setting a foot on the white sands of Traigh Mhòr, and we weren’t disappointed. 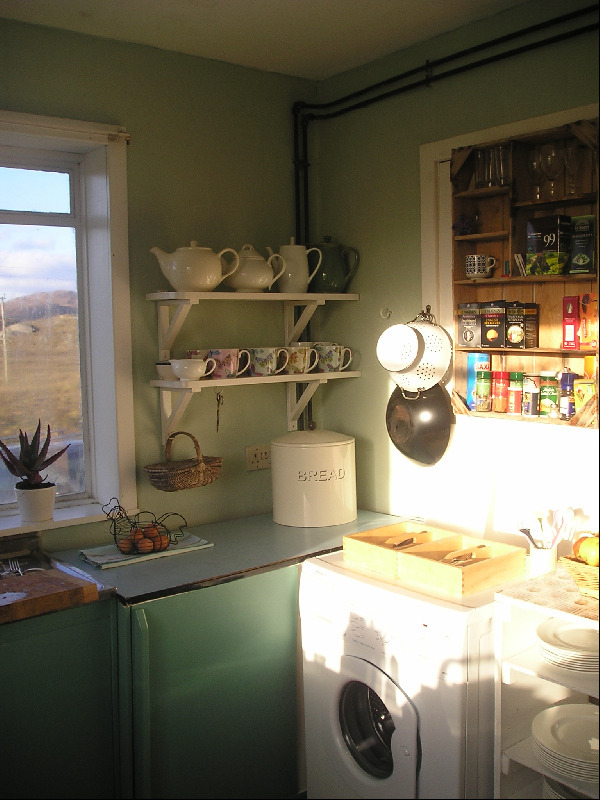 If you have ever imagined how a cottage in the Hebrides should be ; how the host has managed to get everything just right, look no further than Rubha Chàrnain…….. but don’t just take our word for it….. Thank you Anke for the wine, the flowers, chocolate and soaps as a welcome gift. We very much appreciated the newly installed shower, the perfectly equipped kitchen with its cooker, washing machine and dishwasher, the spices and the crockery. 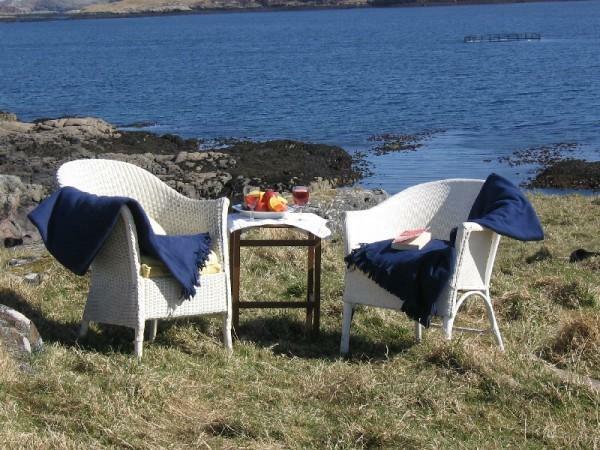 We enjoyed sunny days exploring Barra, Vatersay and Eriskay or sitting in the garden reading, we had cosy rainy times by the fire, indulged a pint or two as well as a lovely meal (with excellent local seafood like Traigh Mhor cockles, Vatersay Crab claws, or hand-dived scallop!!) at the very friendly Heathbank Hotel, a short walk up the road from the cottage. And, above all, we very much hope to be able to come back soon!!! We fell in love with Barra nearly 50 years ago, and had been back several times since, by car, on foot and on bikes, but this was our first time by air. We walked from the airport (it was Sunday so there were no buses) and after about an hour found this lovely cottage, right beside the sea. It was everything we’d hoped for – and more. So comfortable and welcoming it was more like home than a holiday cottage. When we eventually dragged ourselves away from the windows, looking at the incredible views, we found all the interesting books, an eclectic CD selection (we made a point of listening to people we’d never heard of! ), some watercolour paints and lots of coal (essential, since despite the sunshine it was bitterly cold throughout our four-day stay). 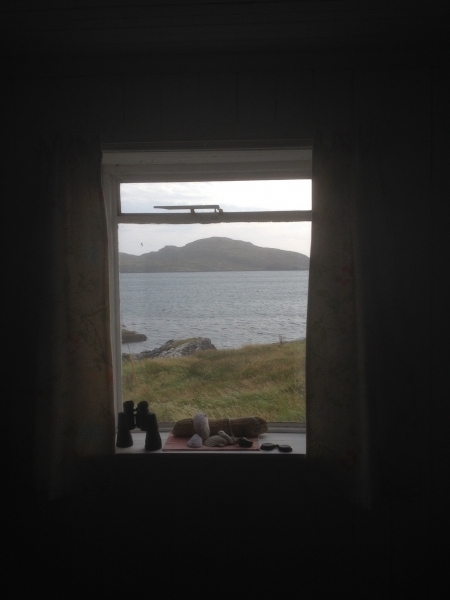 We had one day going around the island, and Vatersay, by bus; one walking on Eriskay; and one exploring Bruernish point – all accomplished with the help of Archie, who, apart from being the bus driver, also doubled as a tour guide and one-man tourist information office. Get to know him and all your problems will be solved! My husband and I stayed at Rhuba Charnain for three nights towards the end of September – it was a perfect retreat from our busy Edinburgh lives. Waking up every morning to panoramic sea views and nothing but the call of the sea birds and the whistle of the wind was an absolute delight. Although it was blowing a hoolie most days, we had the pleasure of blue skies and sunshine, which allowed us to fully explore the delights of Barra by foot directly from the cottage. Anke had provided lots of useful information and interesting walks, which were most appreciated. Highly recommend the golden sandy beaches along the west coast, and the hike up Heaval (highest hill) for fantastic views across Barra and beyond. 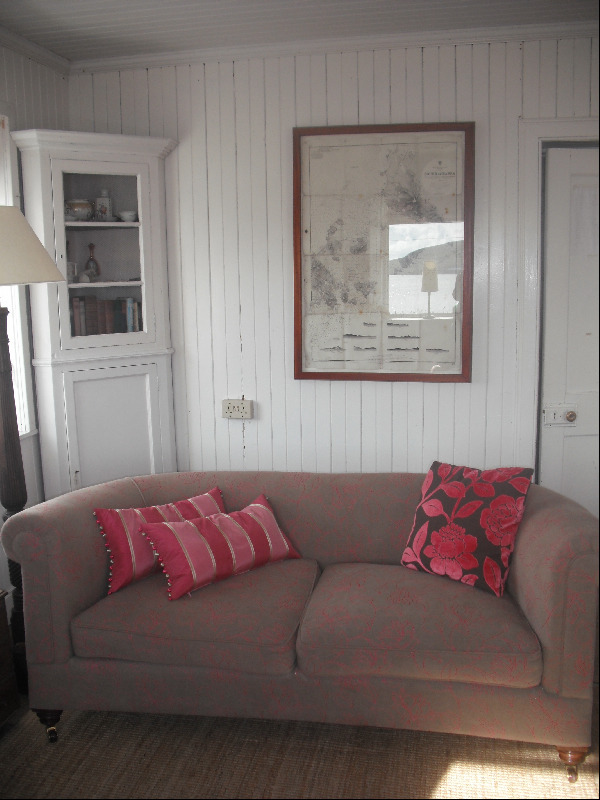 The cottage was simple but tastefully decorated, and upon arrival it very quickly felt like a home from home. It had everything we needed – in particular, the coal fire, electric blanket and huge bath was a luxury after a long day of walking. We stocked up on all the necessary food and supplies before flying over to Barra to save us travelling down to the co-op in Castlebay on our arrival. This also allowed us to get a taxi directly from the ‘airport’ to the cottage. However, one evening we did enjoy a lovely dinner at the ‘local’ (only 15 minutes walk away)…and enjoyed a magical walk back under the milky way and Northern Lights. 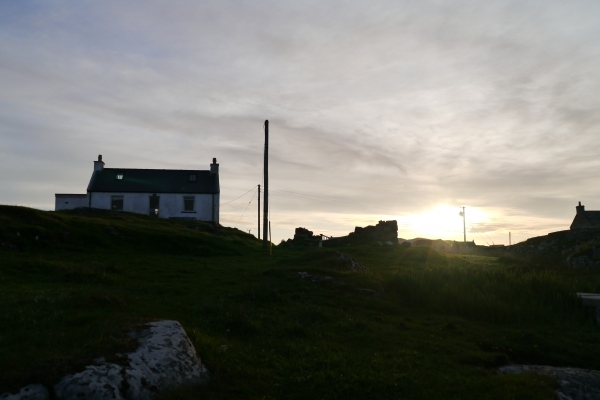 We had an unforgettable stay at Anke’s cottage and fell in love with Barra and island life – we hope to be able to return in the not so distant future. Thank you, Anke. Just had a fabulous week at this lovely cottage.Waking up to the sea view every morning was a great way to start the day. We came prepared to battle wind & rain and were met with sunshine , blue skies & beautiful beaches. On Thursday we spent a couple of hours kayaking with Chris from Clearwater Paddling – highly recommended. Our only complaint was – not staying long enough. We have just returned from a week in this lovely cottage. It is exactly like the photographs show. The cottage is situated in an amazing setting, right on the edge of the sea and you really can launch your kayak from the bottom of the garden! The cottage is well equipped with everything you would need. A nice touch is a larder with things like rice, pasta, a few tins, spices – the sort of things you might need but didn’t take with you or didn’t take enough of. There is a framed map in the hallway with Ankes written comments about various points of interest on it, this was very informative and helpful to us. Ankes directions to the cottage were spot on – easy to follow even for someone like me who could get lost going up a one way street! We walked a few times to the Heathbank Hotel (about 1 mile) and had delicious meals there (the hand dived scallops are to die for) Very friendly staff and a mix of locals and visitors in the bar / lounge so good chat to be had. 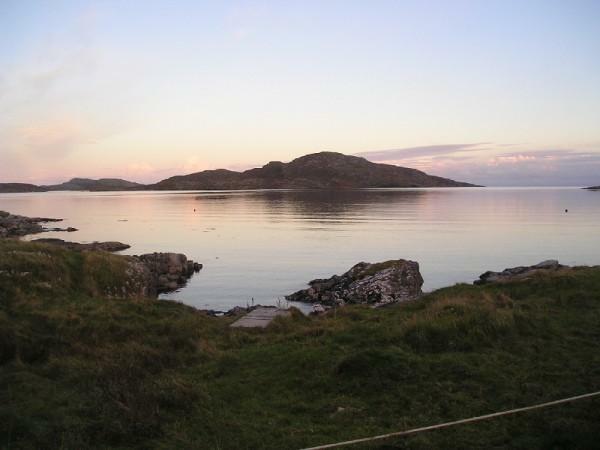 For a small Island there is plenty to do and see – if you want to but with no TV nor WIFI in the cottage it is an excellent place just to read or look at the sea and relax. The post office in Castlebay has an amazing tea room which serves the biggest, freshest scones with jam and cream I have ever tasted, their coffee is also delicious, and it is very reasonably priced. We went home with lots of seafood goodies from Barratlantic, they will very kindly vacuum pack your purchases and give you frozen gel packs to keep them fresh. A holiday in this cottage can be whatever you want it to be! 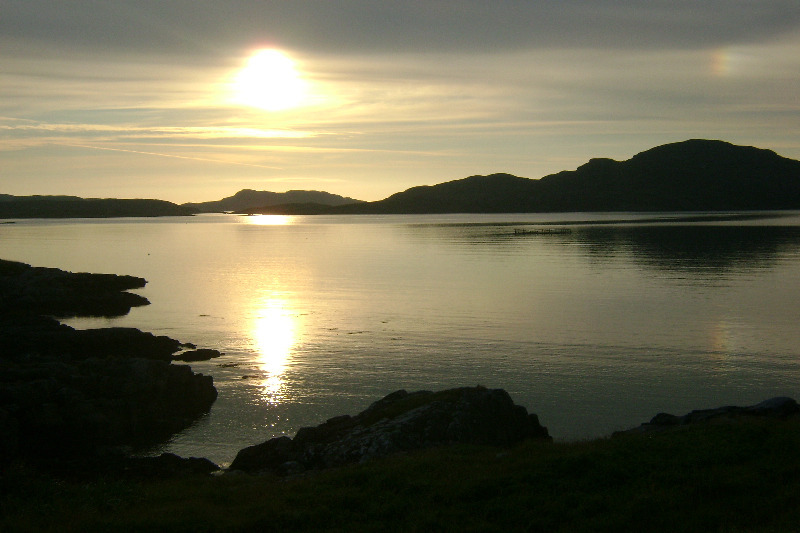 Walking, kayaking, reading, eating delicious food the choice really is yours on Barra! I would totally recommend this cottage to anyone looking for a get away from it all break. A beautiful cottage to get away from it all. Panoramic views of Northbay from most windows, simply but tastefully decorated, and everything you could need for a break away (dishwasher, washing machine etc). We stayed with our young baby for a wonderful week. We really appreciated the little touches provided by Anke (the owner) and would love to return one day. We stayed at Rubha Charnain for 4 days in October 2014. Wish we could have stayed longer. It is an ideal location for a quiet, relaxing break. The cottage is very comfortable and has everything you require – no TV no Wifi (which makes it very suitable to get away from everything) and the setting is idyllic. No noise of light pollution here. Catch the moon reflecting on the sea at night and the sun rising on it in the morning – and all from your bedroom window. We just read, walked, ate (sometimes in the local hostelries) and slept. So relaxing and refreshing. Anke, the owner, will send you a chatty letter that contains all the information you could ever need. Her love of the place is infectious. And then there is Fingal, the border collie from Upper Bruernish. He will find you within the first 24 hours and go with you on local walks and all he wants you to do is kick a stone. Fingal is a dote. 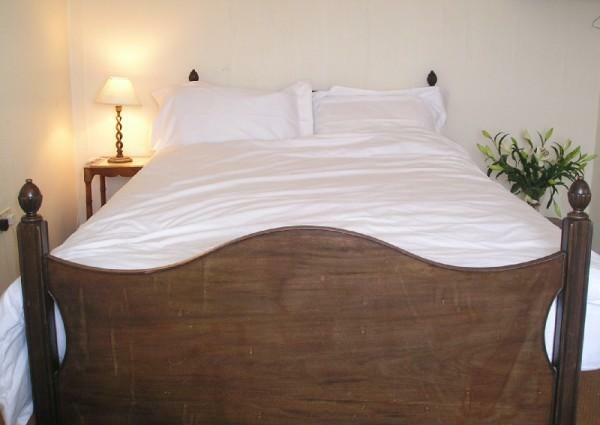 We have stayed at Rhuba Charnain four times over the last six years and each time it has been a pleasure. The location of this cottage is the big attraction – being tucked away in Bruernish off the main Barra ‘ring road’ and with the garden sloping down to the sea you couldn’t ask for a more peaceful place. We haven’t met or spoken to Anke (the owner) as all communication has been done via email but we know how much she loves this place and we appreciate all the work she puts into keeping the cottage lovely and cosy. Each time we have stayed there have been new improvements or another little ‘Anke touch’ – like the huge black board in the hallway (which appeared this year) to draw or write messages on. 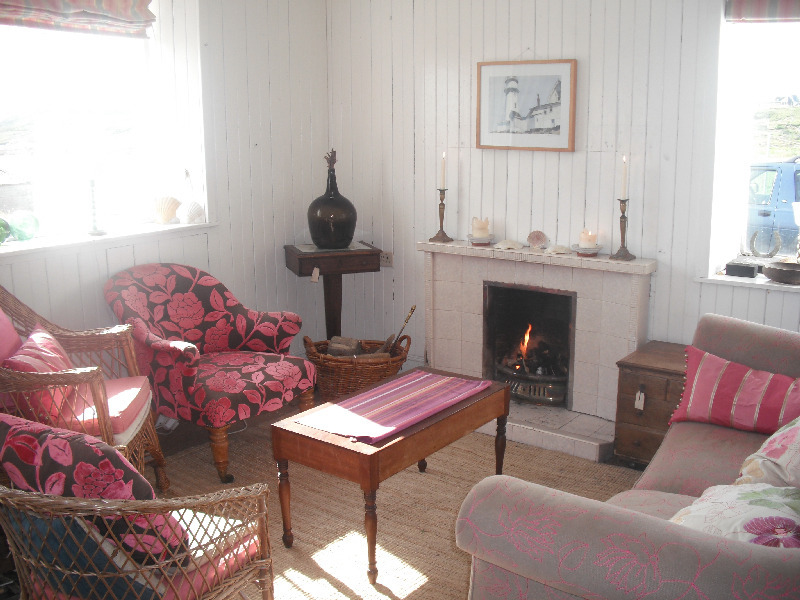 The cottage has a rustic charm and that is what keeps drawing us back – no TV, just an open fire and a nice deep bath! The kitchen has everything you need, from a dishwasher to picnic blankets! This is a truly special place and we hope to continue visiting in the years to come.